For those of us of a certain age, the modern classroom is barely recognisable to what it was in our youth. Though there’s still a couple of dozen kids sitting at tables and a teacher up front, the way in which those kids learn has transformed dramatically. From the chalkboard, we moved to whiteboards before whiteboards were supplemented by overhead projectors and later replaced entirely with interactive whiteboards, which made use of computers and projectors to allow interactive experiences. Although some in the education sector have regarded these advances as less than impressive, the vast majority in the business of educating young people have found them to be a tremendous help. Today, you’ll find interactive whiteboard technology in many classrooms across the country, but for those forward-thinking educational establishments, there’s a shift underway – a shift to interactive touchscreens. Compared to a ‘traditional’ interactive whiteboard which relies on a projector, interactive whiteboard and PC to operate, an interactive touchscreen makes for a much cheaper long-term investment. Why? Because unlike your interactive whiteboard set up, you’re not relying on a functioning projector in order to operate. Removing that one element means that though the initial outlay on an interactive touchscreen is higher, it’s long-term costs are actually significantly lower. Couple that with the fact that the LED/LCD screen technologies in interactive touchscreens regularly last more than 60,000 hours of operation (over 20 years!) and that they require significantly less energy expenditure than your interactive whiteboard set-up and you’ve got a superb way to cut costs for years to come. More than just educational environments, our lives have been transformed by touchscreen technology. Today’s children have grown up in a world with smartphones, tablets, touchscreen laptops and more – all of which operate in a much similar way – an experience which has fundamentally changed the way they expect to interact with information. Interactive touchscreen technology slots into those expectations perfectly, offering multitouch functionality on a large, capacitive touchscreen. Kids can manipulate images and text in real time, play innovative educational games and more – all in a style they’re completely familiar. When installed in classrooms, interactive touchscreen technology becomes a vital reward for good behaviour and a real driver for greater engagement. 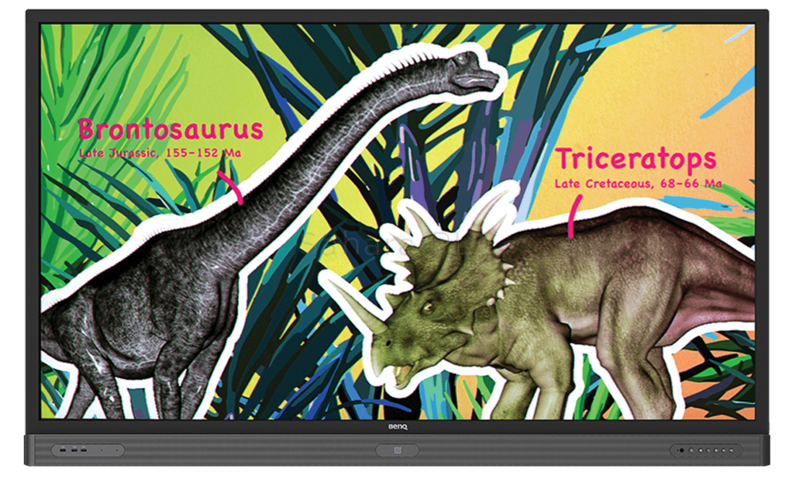 For teachers too, interactive touchscreens make a smart choice thanks to many models support for digital pens, which recreate the experience of whiteboards, making presenting to the class as simple as picking up a pen and starting to write. Consider the power of annotating websites, presentations and even videos with ease – that’s the power of interactive touchscreens. To learn more about interactive touchscreen technology, get in touch with a member of our UK-based team today. Previous PostWhen’s the Right Time to Replace your Old AV Equipment? Next PostHow Have Commercial Displays Advanced?